While it’s ill-advised to put all your eggs in one basket, when it comes to the eggs between a fella’s legs, packing them snuggly tight in this knit marvel is the best idea ever. Spring weather can be unpredictable, so, it’s wise to have an extra layer…where it counts. When you’re hiding Easter eggs, don’t forget your own! 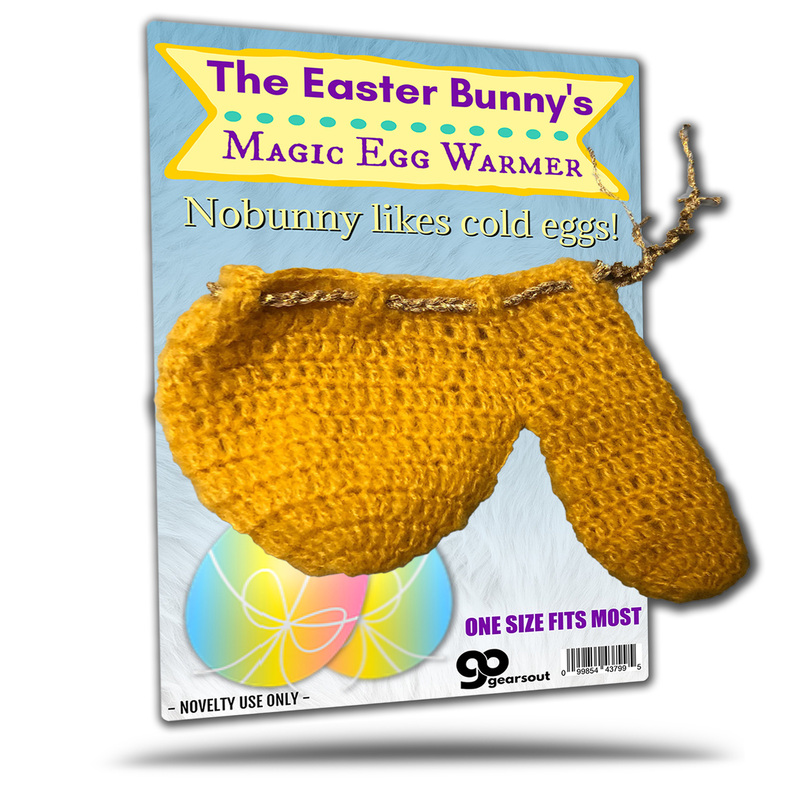 Now, you can take a page from the Easter Bunny’s cold-weather survival guide and keep those danglers roasty toasty with The Easter Bunny’s Magic Egg Warmer! 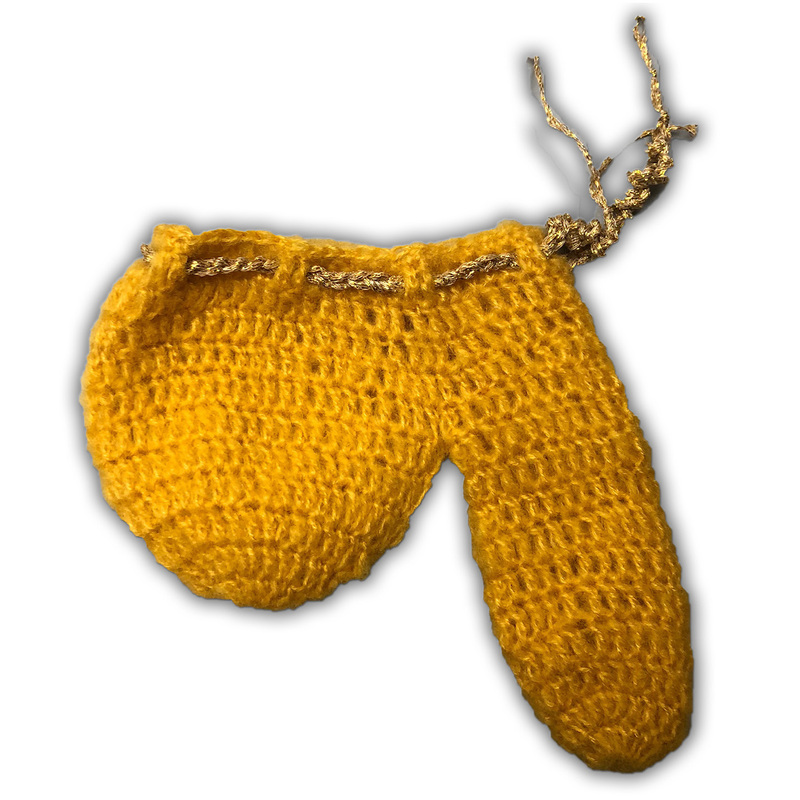 This hand-knit crotch cozy will have your personal goody bag pleasantly warm regardless of how chilly it gets. The Easter Bunny’s Magic Egg Warmer is made to fit most men, and even includes an elegant golden drawstring around the top to keep it snugly in place. Designed specifically for keeping your treasured jellybeans warm, this early spring must-have will have that festive beanbag safe and secure until summer hits. 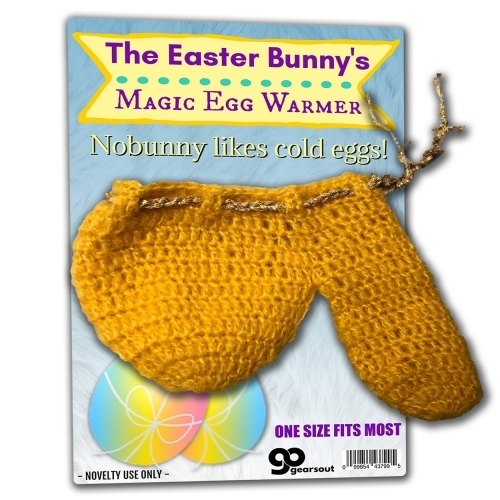 Topping the list of funny Easter gag gifts for men, the Easter Bunny’s Magic Egg Warmer is sure to be a hilarious hit for any spring gift-giving occasion. This naughty gift makes hysterical “thinking of you” or birthday gag gift, or a super surprising Easter basket filler for boyfriends, husbands, or guy friends who constantly complain they’re freezing their bojangles off.